The Slovakian Lowa Renegade GTX Mid carries its brand’s renown with pride. 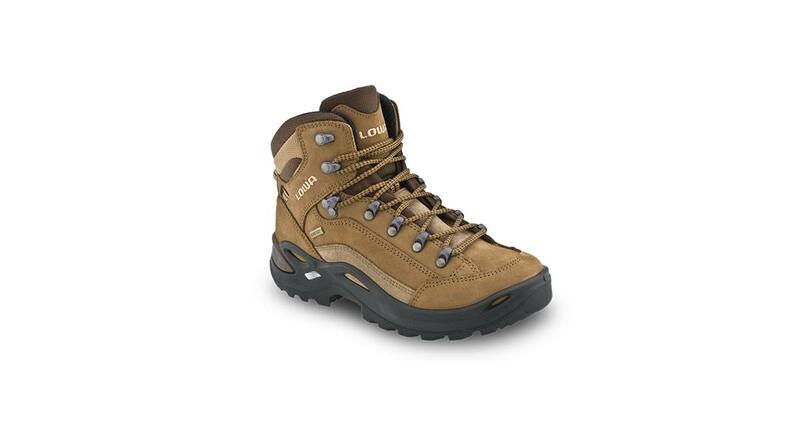 The boot is lined with Gore-Tex while the support frame is made of Monowrap for a flexible yet sturdy boot. The upper material is made of Nubuck leather and the midsole is made of injected polyurethane, while the sole is Vibram Evo. The boots have lacing hardware with both open and closed hooks and additional hardware-locking ankle hooks. It’s a great pair of boots to wear on your next trek.